Selena Gomez and Ed Sheeran are set for a big night at the Teen Choice Awards after landing more nominations. 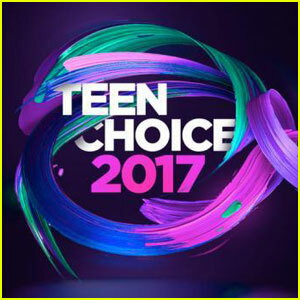 The Come and Get It singer and Sheeran will compete in the Choice Summer Song category for Bad Liar and Castle on the Hill, respectively, when the ceremony hits Los Angeles on August 13. They will go up against Luis Fonsi, Daddy Yankee, and Justin Bieber's Despacito, Miley Cyrus' Malibu, Zedd and Alessia Cara's Stay, and Bruno Mars' That's What I Like. Camila Cabello, Halsey, Katy Perry, Lorde, Miley Cyrus and Gomez are up for Choice Summer Female Artist, while Harry Styles, Justin Bieber, former One Direction bandmates Liam Payne and Niall Horan, Shawn Mendes, and Zedd will go head-to-head for Choice Summer Male Artist. The Chainsmokers, Coldplay, Fifth Harmony, Florida Georgia Line, Imagine Dragons, and Little Mix are up for Choice Summer Group, while Sheeran's Shape of You will go up against Bruno Mars' 24K Magic, The Chainsmokers and Halsey's Closer, Maroon 5 and Kendrick Lamar's Don't Wanna Know, Rihanna's Love on the Brain and Stay by Zedd and Cara for Choice Pop Song.